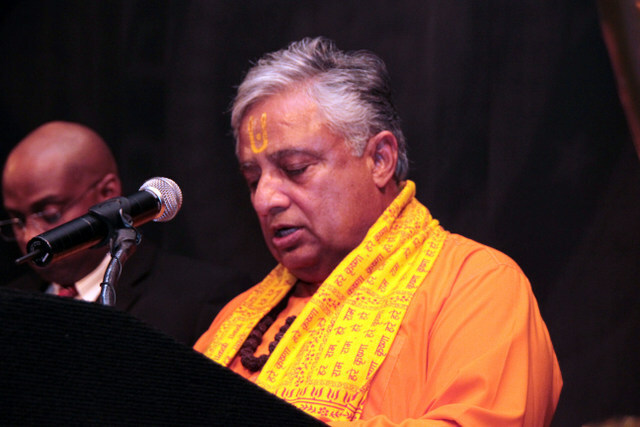 Reno, NV…Pennsylvania and Rhode Island Senates and Houses of Representatives will open their June 19 and 20 sessions respectively in Harrisburg and Providence with Hindu mantras, containing verses from world’s oldest existing scripture. Reno based Hindu statesman Rajan Zed will deliver the invocations from ancient Sanskrit scriptures before the Senates and Houses of these states. After Sanskrit delivery, he then will read the English interpretation of the prayer. Sanskrit is considered a sacred language in Hinduism and root language of Indo-European languages.